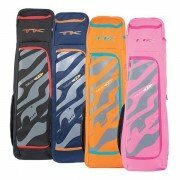 TK Hockey Bags for the 2017/18 season again promise to be really impressive and it is no surprise that they are already flying off the shelves here at All Rounder Hockey! 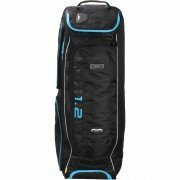 Covering everything from a large stick and kit bag with the Stick and Kit bag models, to smaller stick bags with the and state of the art rucksacks, TK hockey bags for this year cover all hockey player’s needs. 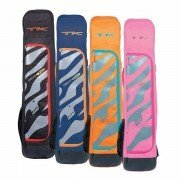 TK hockey bags are not like your average piece of hockey luggage, they are designed to be different – every compartment, pouch and pocket has been designed with the athlete in mind. The TK brand always produces aesthetically pleasing hockey bags and you are always assured that TK hockey bags are designed to stand out from the crowd, and their new 2017 / 2018 range is no different – the graphics, colours and luggage technology TK use are second to none this season. Wherever your destination TK believe your hockey bag shouldn’t just carry your hockey gear, it should protect it and look good doing so. 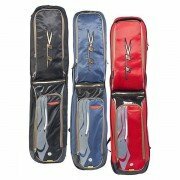 Their hockey bags are designed from a players’ perspective to ensure that they work exactly as you need them, whether your heading to hockey training or heading to a hockey cup final, they have a range of bags to accommodate everything you need. 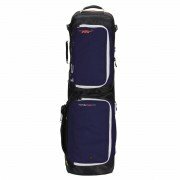 TK hockey bags are equipped with a range of features to make your life easy and ensure you can carry all your gear in complete comfort. 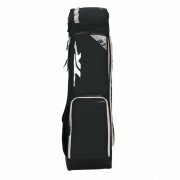 All TK hockey bags feature anti-abrasion base fabric and water repellent shell body fabric as well as a premium level of comfort and convenience. All TK backpacks have plenty of room for any equipment you could possibly need, and the size makes their bags less awkward to carry than larger, longer containers can sometimes be. Although some TK backpacks don’t have a pocket for your stick, there is a tube on the side for you to slide your stick into, still allowing you to carry your stick hands free! This stunning range can be delivered to UK mainland customers FOR FREE!